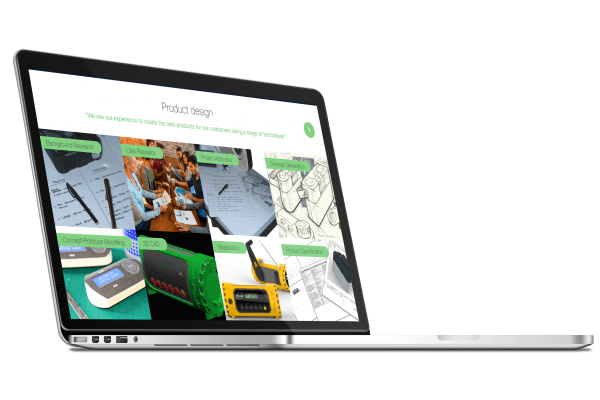 The website design for a product designer needs to be something special. 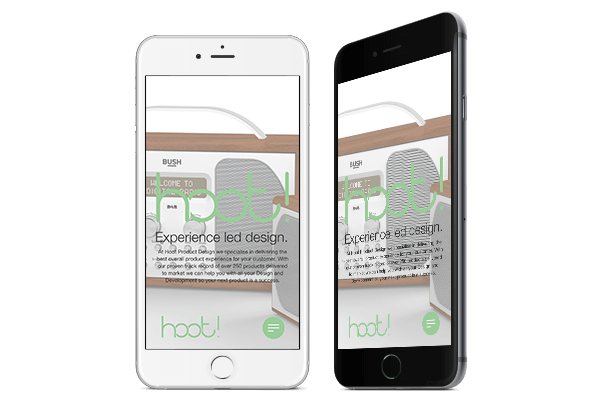 Bright White Space worked closely with Hoot Product Design’s owner, Chris, and he had an integral part in designing the interface for site. 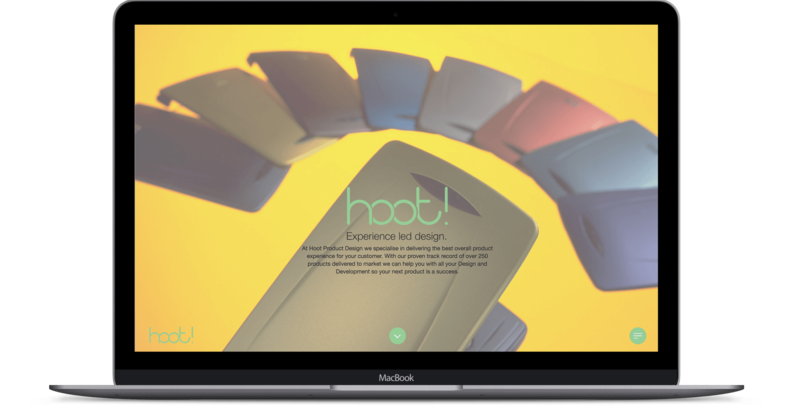 The homepage showcases Hoot’s designs and philosophy with large background images. This integrated portfolio effect puts the products and service at the heart of the website. Conveying a unique style and design needs to work well on all screens from the largest to the smallest. As well as being optimised for mobile the site needs to be fully responsive to all screen sizes. Not all features translate well onto mobile so trying to replicate the desktop experience might become frustrating for someone on mobile and isn’t necessary. Optimising for mobile is about considering the whole experience for the user. The Hoot portfolio doesn’t exist as a separate section of the website, it is embedded right into the front page. Product images and previous work scroll past in the background while the user reads about Hoot’s experience. The product design page above walks the visitor through the design process with clear images and rollover descriptions. An animations section shows how the products are put together. It’s an integrated portfolio across the whole website. Using the WordPress content management system the team at Hoot can easily add new projects to the portfolio and customise the site themselves. WordPress powers 75 million websites globally and is a trusted and robust CMS. It gives site owners an easy way to update and work on their own website. Do you require something similar?